Cairo Prince, America's leading first-crop sire at this year's Keeneland September Sale, headlines the 2018 Airdrie roster. With an overall yearling average of $166,000 in 2017, no fewer than 34 individual six-figure yearlings and more yearlings selling in excess of $200,000 than any stallion in his crop, Cairo Prince will see his stud fee rise to $25,000 for the upcoming breeding season. 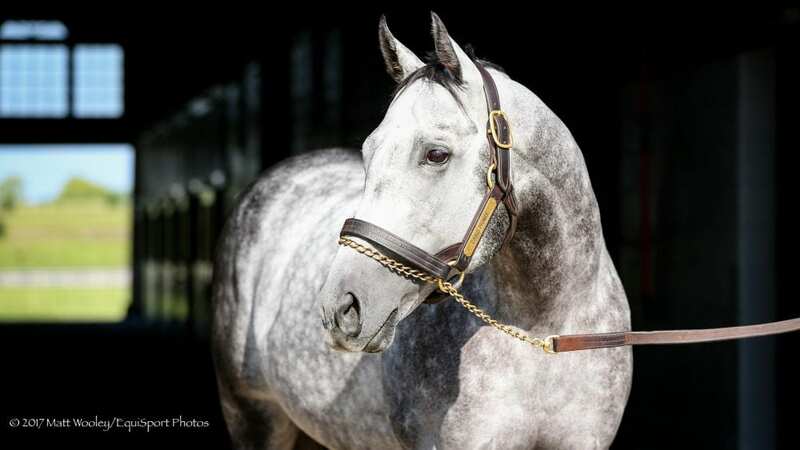 Airdrie will stand first-year stallion American Freedom for an introductory fee of $10,000. The Graded Stakes-winning son of Pulpit retired earlier this year with earnings in excess of $700,000 and the distinction of having defeated all three American Classic winners of his generation – Nyquist, Exaggerator and Creator – and beating 2018 Horse of the Year candidate Gun Runner both times they met. Creative Cause will have his fee announced after this year's Breeders' Cup World Championships, in which he is expected to have three starters in Pavel, Significant Form and My Boy Jack. Creative Cause's four juvenile Stakes winners in 2017 are matched only by Into Mischief among active U.S sires and his 8 cumulative stakes winners place him atop the second-crop sire list along with Union Rags. This entry was posted in Bloodstock and tagged airdrie stud, airdrie stud stallions, Brereton C. Jones, Cairo Prince, creative cause, Horse Racing, thoroughbred by Press Release. Bookmark the permalink.